You can share your projects with others through the Projects dashboard. At the top and to the right of your dashboard, notice a "Share your projects" button. Once you click this button, you will notice a pop-up appear that will ask you to fill out the field to enter the user you wish to grant access and the Project you'd like to share. You can share this project with multiple people, just enter each individual email. Your ability to share Projects with other SEMrush users depends on the level of your account and the level of the account that you want to share the Project with. Business level subscribers can share Projects with free and paid users. Keep in mind sharing projects on the business level is for“read-only” mode. Pro and Guru level subscribers can share Projects in “edit” mode to other paid accounts only. "Read-only" can only be shared from Business accounts. 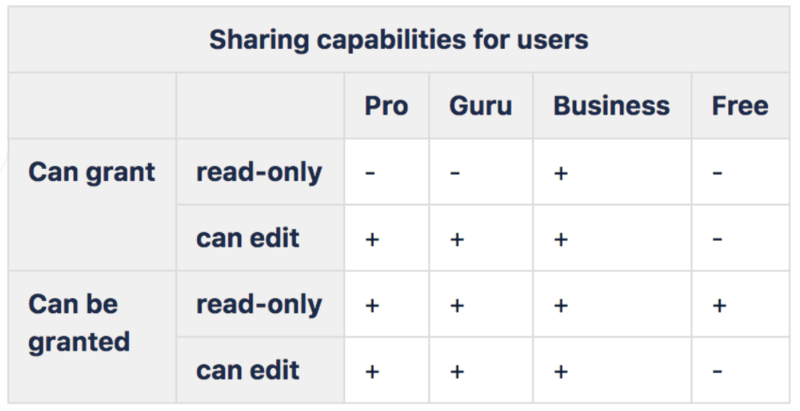 “Edit” mode can only be shared from one paid account (Pro, Guru, or Business) to another paid account (Pro, Guru, or Business). “Edit” mode is not available for users on the free level. If you are the recipient of a shared Project, you can view all of the Projects you are shared on by going to your Projects dashboard and selecting the “shared with me” tab. If you are shared on a Project and you want to leave without deleting it simply hit the gear icon and click on leave Project.